What is the Dielectric Strength Testing Training Course? Dielectric strength testing (also known commonly as high potential or hipot testing) is the process of performing an electrical test on a component, or product, to determine the overall effectiveness of that item’s electrical insulation. Our dielectric strength testing high voltage training course is designed to give those performing dielectric strength (or pressure) testing on high voltage systems including cables, transformers and switchgear the knowledge, theoretical background and practical experience to perform this type of testing safely on electrical systems up to 15kV (15,000V). What’s in the Dielectric Strength Testing Training Course? 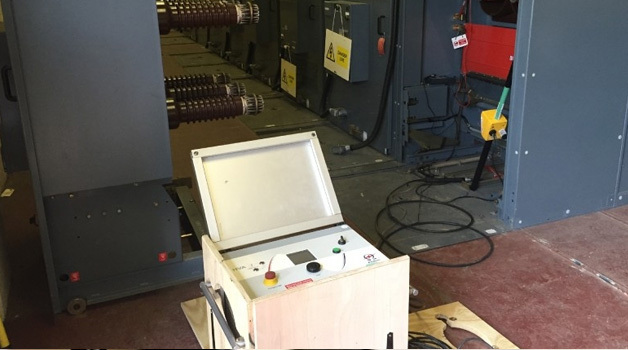 Taught by our professional high voltage tutors in our HV training facility in North East England, you’ll take part in both theoretical and practical exercises designed to give you the knowledge to perform dielectric strength (pressure) testing on HV systems up to (and including) 15kV. This course covers various aspects relating to hipot testing, including insulating material characteristics, methods used to enable pressure testing on HV equipment (including cables, switchgear, transformers and motors) and also places emphasis on safety requirements and the interpretation of testing results. To attend this course, you should be an electrical engineer or technician with prior electrical experience, ideally in the use and operation of high voltage systems. You will be responsible, or are going to be responsible for carrying out high voltage dielectric pressure testing, or will be a supervisor responsible for overseeing this type of work. Learn to perform dielectric strength testing on electrical and high voltage equipment with our Stockton high voltage training course.